Hi there, this is a special post without a recipe. What? 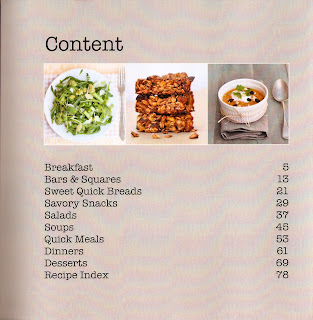 No recipes? How boring! What am I doing here then? I know, I know.... (or rather hope) that my recipes is what you come here for. Today I've got something for you. A Giveaway. The first ever give-away on my blog. It's something special. Homemade and homecrafted. I designed this book and printed a single copy of it. It was a dummy run, as I just wanted to see how, in my dream world, a cookbook of mine could look like. I learned a lot by designing it, and also was able to see the mistakes I made once I had the printed copy in my hands. It's far from being perfect, but it's a unique book. 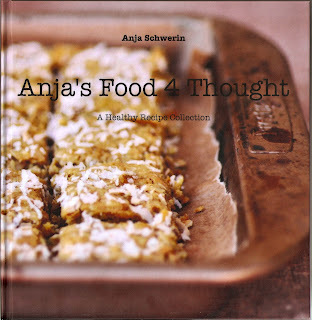 I am giving away this one copy of Anja's Food 4 Thought Cookbook, worldwide. But I want something in return. I thought it would be a nice change to the usual giveaways to NOT force you to like me on Facebook or to follow me on Twitter. Only if you really do like me or want to follow me, feel free to do the FB thing here or the Twitter thing here. But it will not increase your chances of winning this book. Please leave a comment here on this post, once you are done with the questionnaire, by just saying so, or by whatever comes to your mind or whatever it is that you always wanted to tell me. I can take constructive criticism! In fact, I want it! Please leave a valid email address or ID where I can track you down. I will select the winner by using Random.org. All entries received after the giveaway closing day and time will not be considered. Winner will be notified via email and will have 48 hours to confirm receipt of the email. If the winner does not reply within 48 hours, another winner will be selected. Giveaway will be mailed to the winner’s address. I will publish the results of this little questionnaire afterwards, in case you are interested!